Our hat is off to Sharon Kramer for going up against the dishonorable and corrupt courts of California who lie, cheat and manipulate our court system to use it against us. 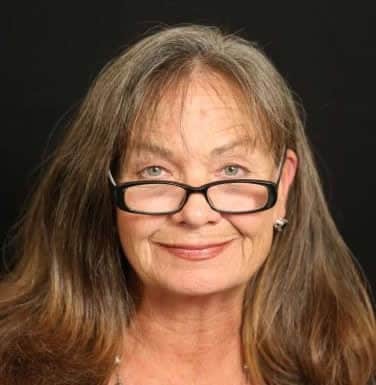 Sharon Kramer is a Whistleblower who has been faced with corruption in the California judicial system at the highest levels that works to keep the fraud going in the private sector health policy on behalf of the affiliates of the US Chamber of Commerce. Sharon Kramer is a researcher and whistleblower. She exposes how the scientific fraud that “moldy buildings do no harm” marketed its way into US public health policy, thereby allowing the dismissal of injured parties’ insurance claims. She has been published in medical journals, such as the International Journal of Occupational and Environmental Health, and has given numerous interviews exposing this deceit. She was also involved in causing a federal audit of the issue, that is helping to reshape policy on a federal level. Toxic mold is a type of mold that produces hazardous byproducts, called mycotoxins. While individuals with asthma and other respiratory problems may have reactions to many types of mold, it’s thought that mycotoxins are more likely to trigger health problems in even healthy individuals. These toxins are believed to be linked to memory loss and to severe lung problems in infants and the elderly. I have a daughter with Cystic Fibrosis “CF” who is highly susceptible to mold. So of course, I did a lot of research when faced with this issue. I became ill because my office was in the home. I was there everyday during the remediation process. I knew the mold, aspergillus, was potentially harmful for my daughter with CF. No one told me it could be hazardous to my health. In our litigation with our homeowner insurer (2002-2003), we made no claims of being ill from toxicity or of acquiring “life threatening illness”.Our claim was that the remediators had made the home uninhabitable for our daughter with CF. Our insurer sued us for refusing to accept only $30K to rectify the problem . The case was presided over by Judge Michael P. Orfield, North San Diego County Superior Court. Long story short, we ended up receiving about a $500K settlement from our insurer, the remediator and the lab that had falsely cleared the house. Judge Orfield signed all three of the settlement agreements in 2003. He is now retired but his wife is still a judge in the San Diego North Courty Superior Court. Judge Orfield was also the first judge in the libel suit that Mr. Kelman and Veritox (formerly known as GlobalTox) brought in 2005. He suppressed MUCH evidence corroborating this was Strategic Litigation Against Public Participation, “SLAPP”. Mr. Kelman was retained as an expert defense witness in the litigation with our homeowner insurer. As a toxicologist with a PhD he was not qualified to testify to the safety of our home for our daughter with CF, even stating so in a LETTER he sent to the defense attorney in 2002. Mr. Kelman wrote that “a physician with detailed knowledge of the clinical condition of the child must be consulted”. But in the libel litigation he submitted declarations three times under penalty of perjury that stated with regard to our mold litigation. “I testified the type and amount of mold in the Kramer house could not have caused the life threatening illnesses she claimed”. His attorney, Mr. Scheuer then used this false statement in Mr. Kelman’s declarations to establish the false theme of a sour grapes litigant as reason for malice. Mr. Scheuer repeatedly wrote, “Apparently furious that the science conflicted with her dreams of a remodeled home, Kramer launched into an obsessive campaign to destroy the reputation of Dr. Kelman and GlobalTox”. GOVERNMENT FRAUD, Hiding dangerous TOXIC MOLD problems, doing so for BIG MONEY and BIG BUSINESS. Environmental Advocate Sharon Kramer ~US DOJ Lying Experts~Cal Courts & Mold~ Not a pretty story!